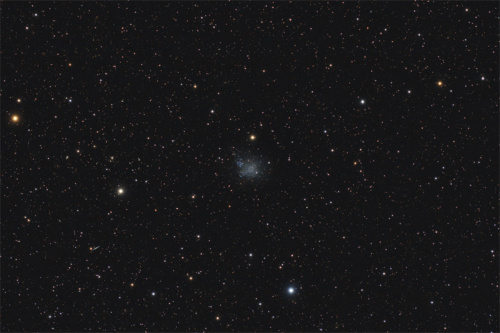 The irregular dwarf galaxy IC 1613 is a member of the Local Group of Galaxies. It can be found inside the constellation Cetus in a distance of 2.4 million light-years. 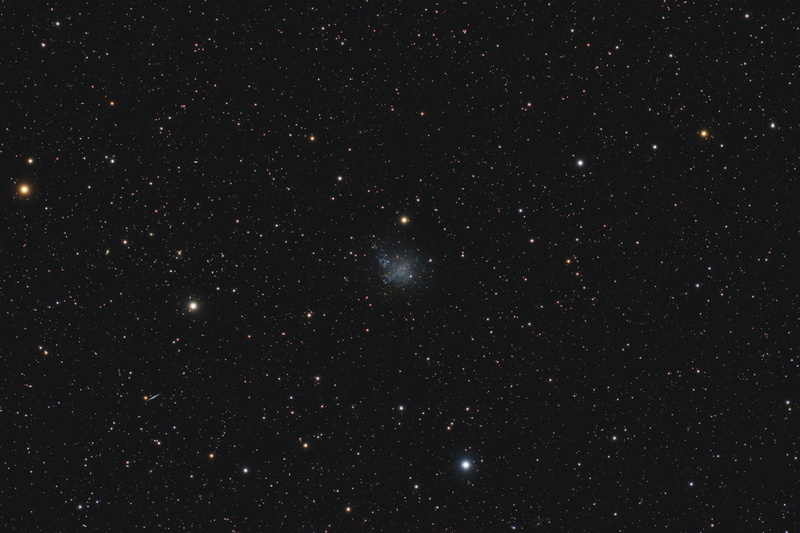 IC 1613 has played an important role in the calibration of the period luminosity relation of Cepheids for estimating distances, because an unusually low abundance of interstellar dust both within IC 1613 and along the line of sight enables especially accurate distance estimates.